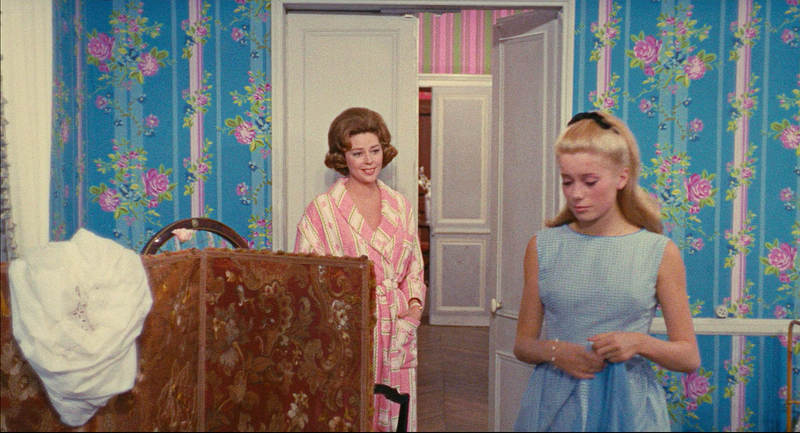 This film was Catherine Deneuve’s first major film to star in. 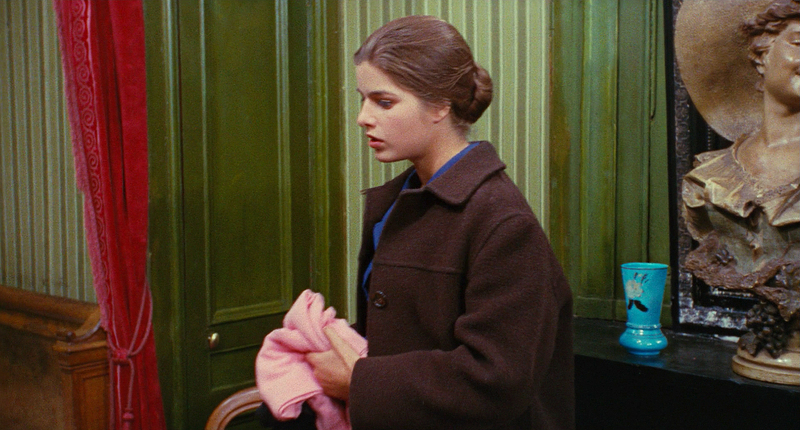 She was only twenty then and is as astonishingly beautiful today as she was then. 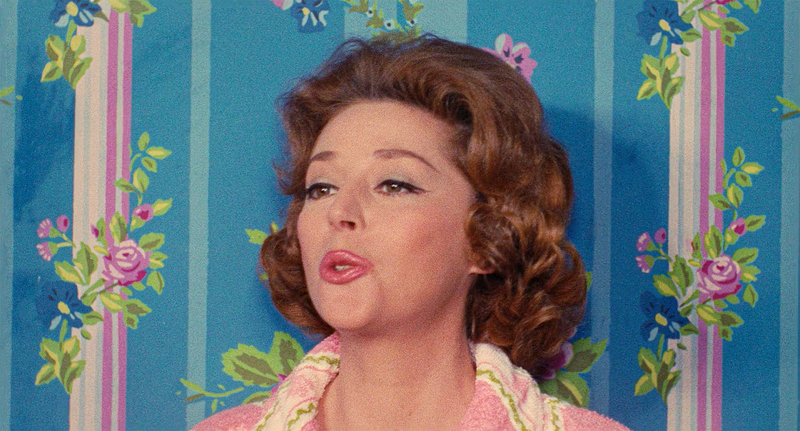 She may not have aged, but the film stock did. 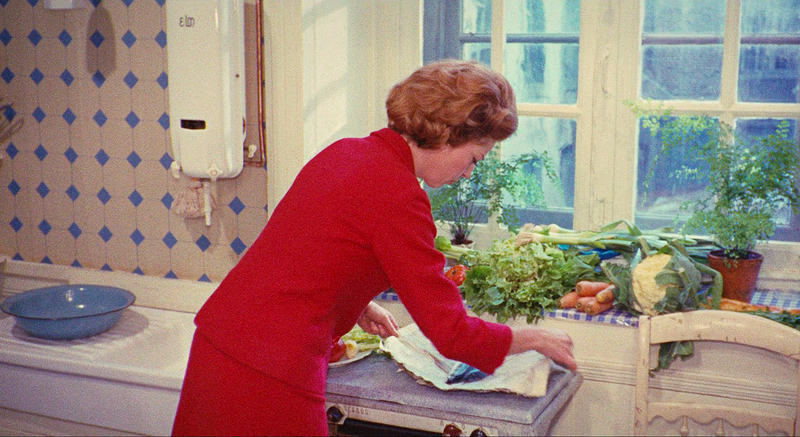 It was originally shot on Eastman negative stock which rapidly faded and did not remain true to the original colors. 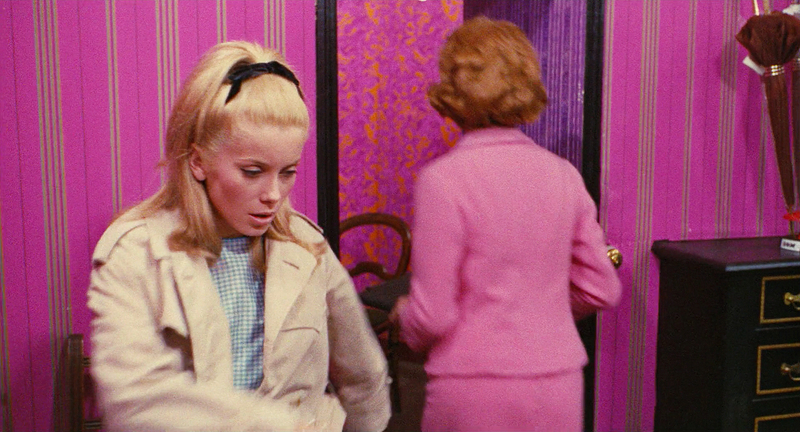 Knowing this would happen, Demy had made the three main yellow, cyan, and magenta color separation masters on black-and-white negative films, and these prints had greater longevity. 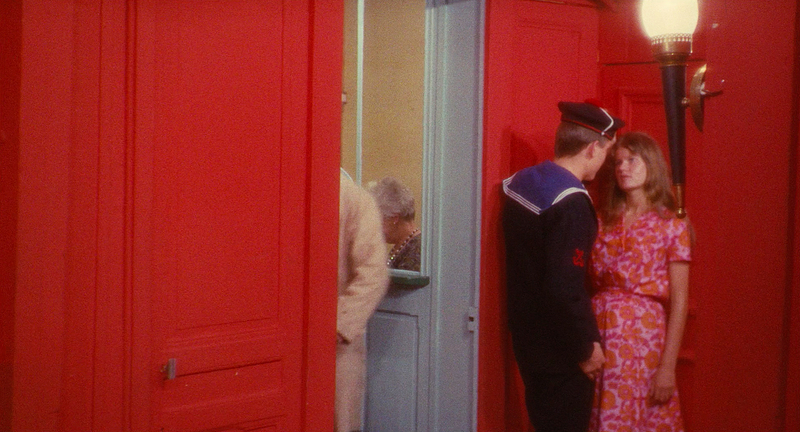 Demy and his wife Agnes Varda regained control of the film just before his death with plans to restore the film’s original color. 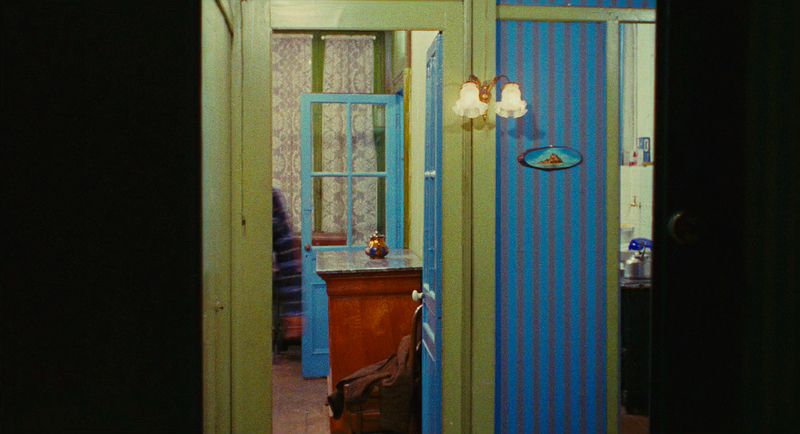 After his death in 1990, Varda continued with the project and created a new color-negative film from the three black and white separations. 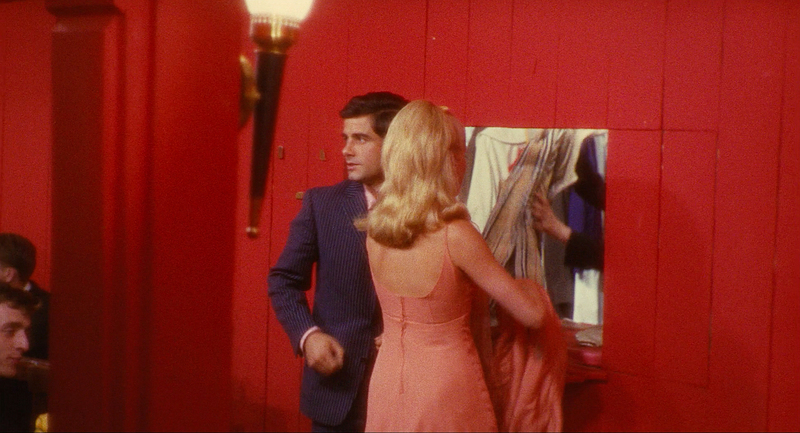 And from these, fully restored color prints were created in 2004. 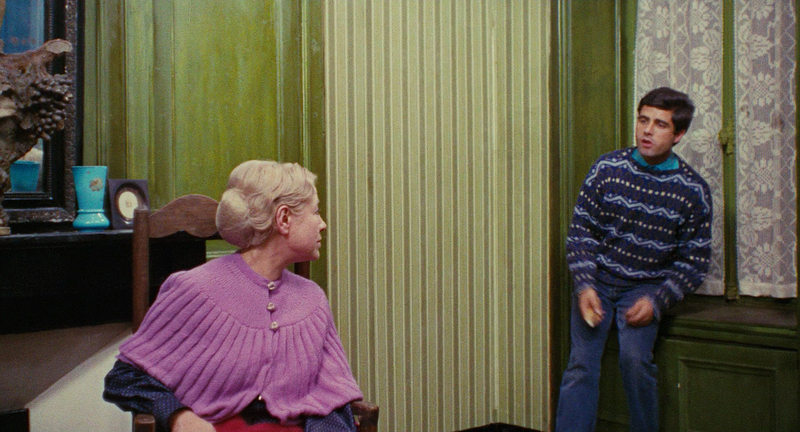 In 2013 a digital version was released. 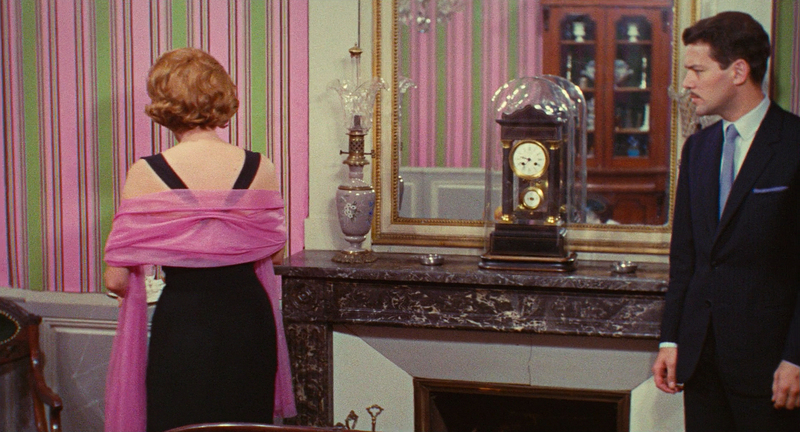 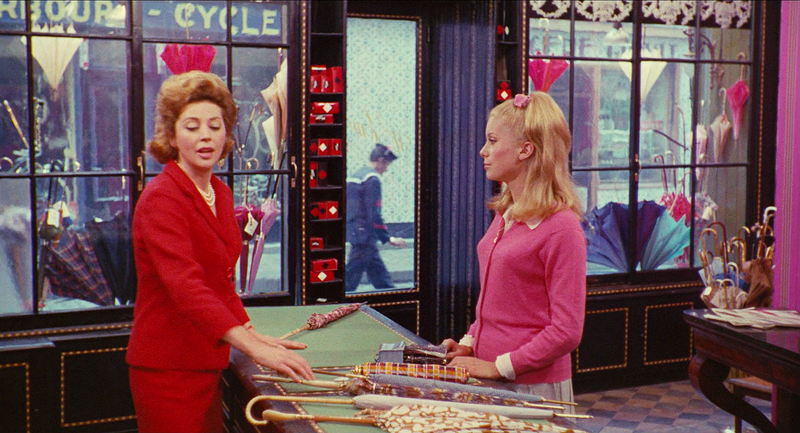 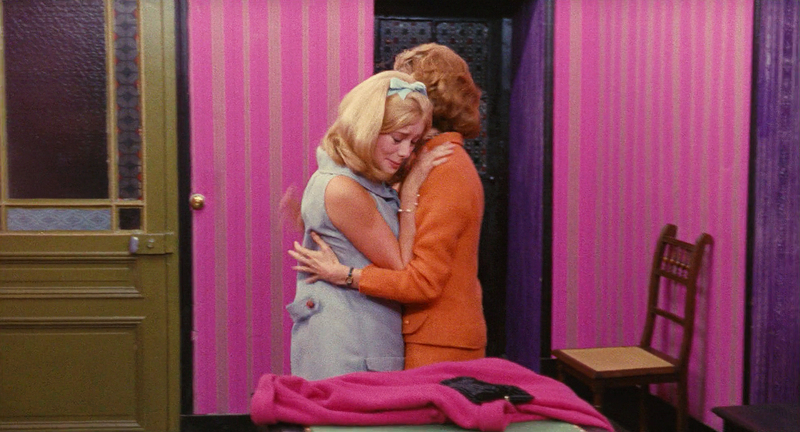 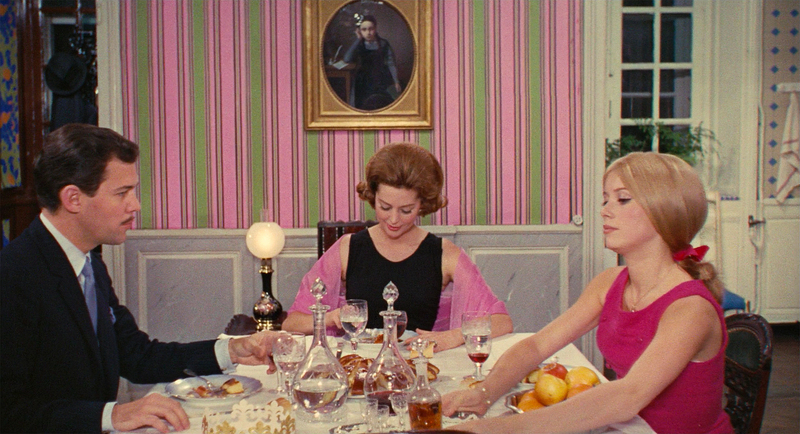 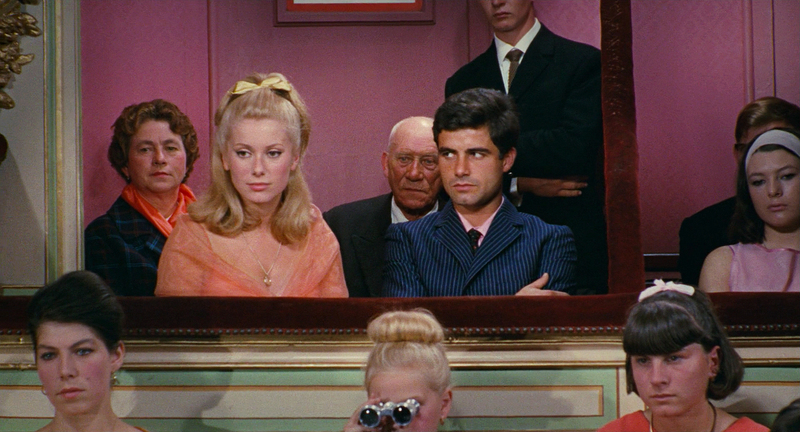 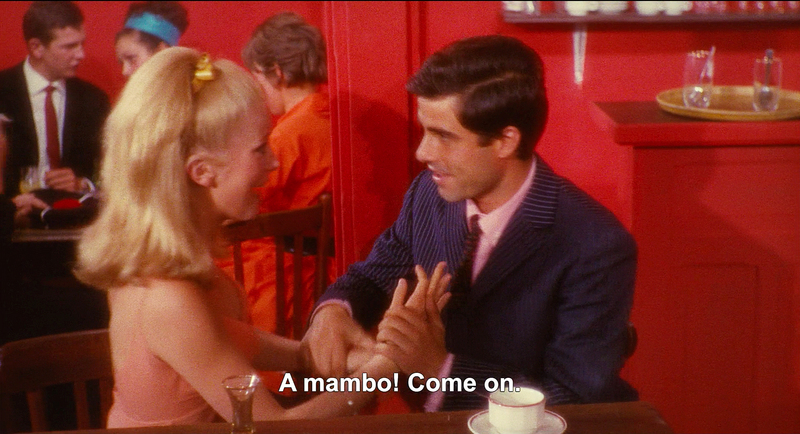 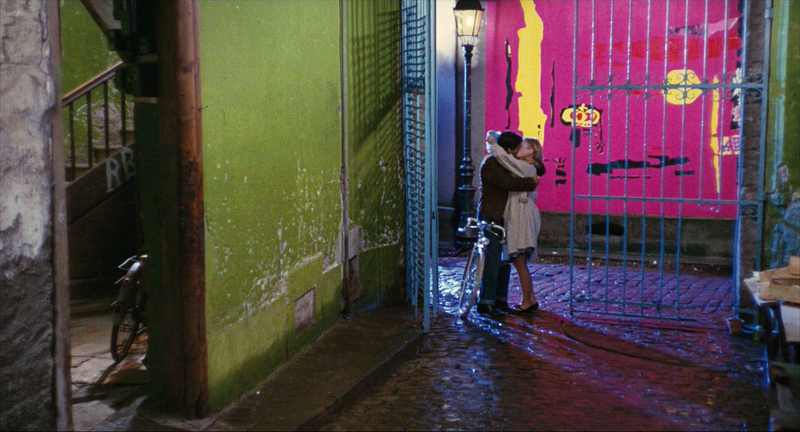 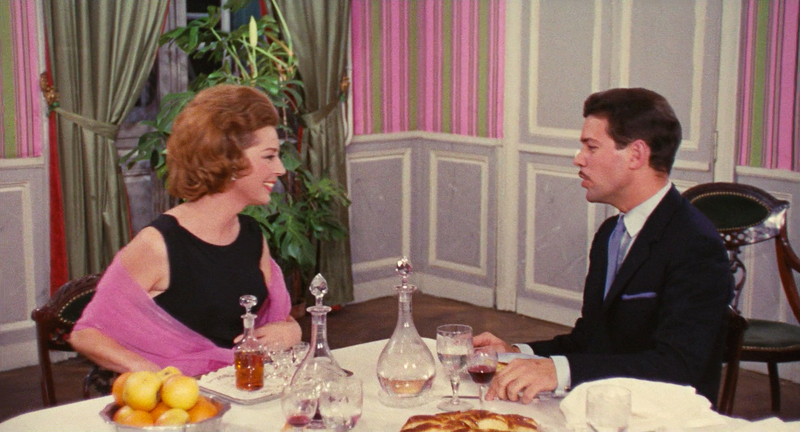 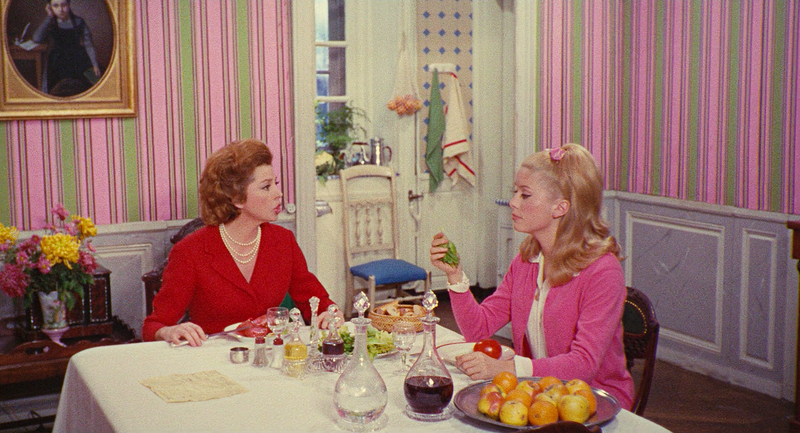 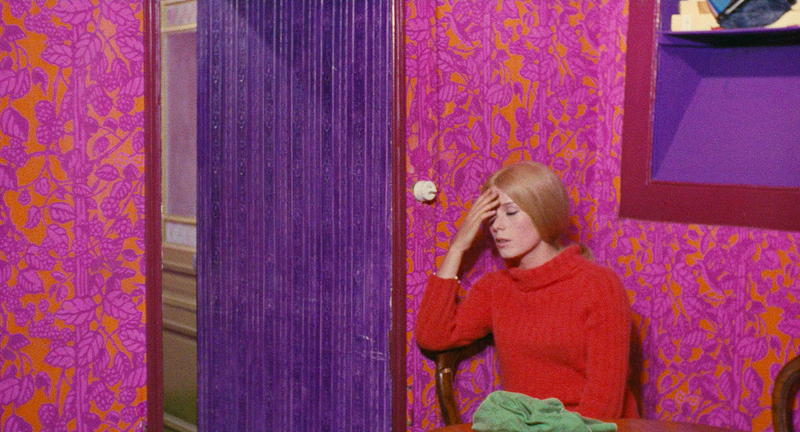 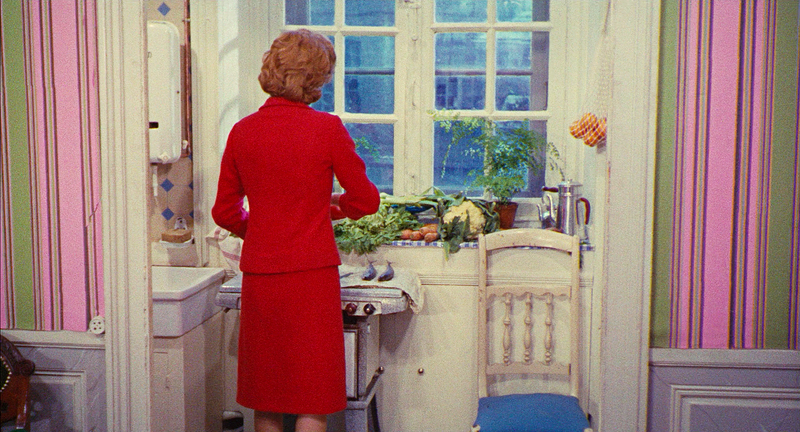 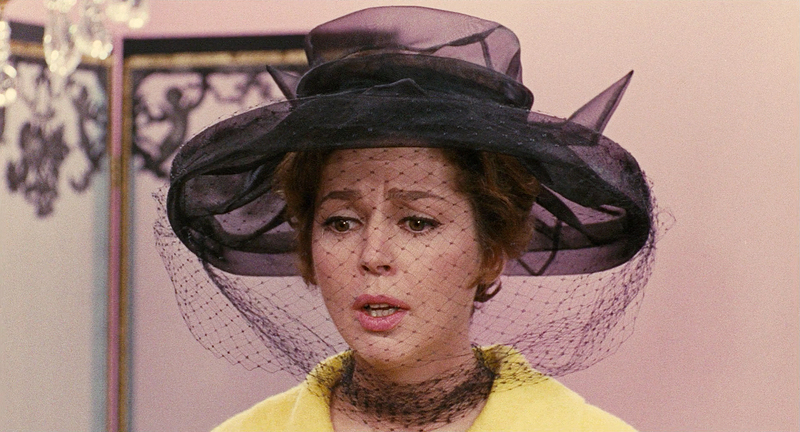 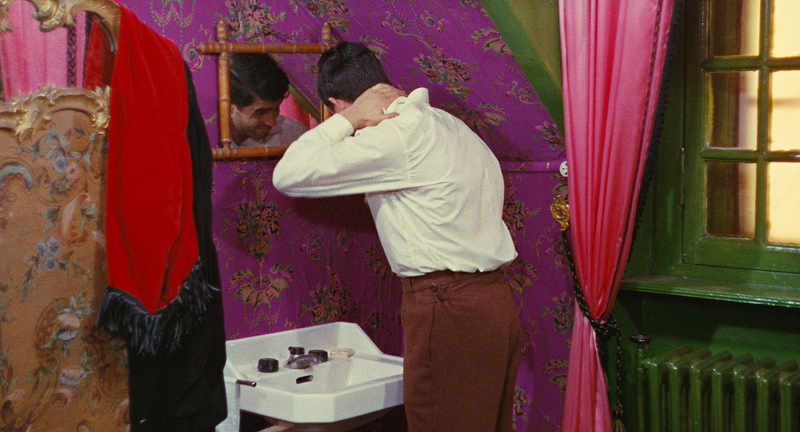 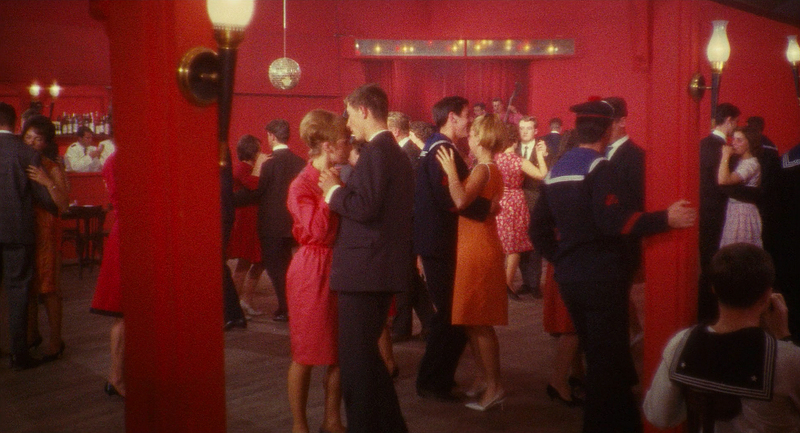 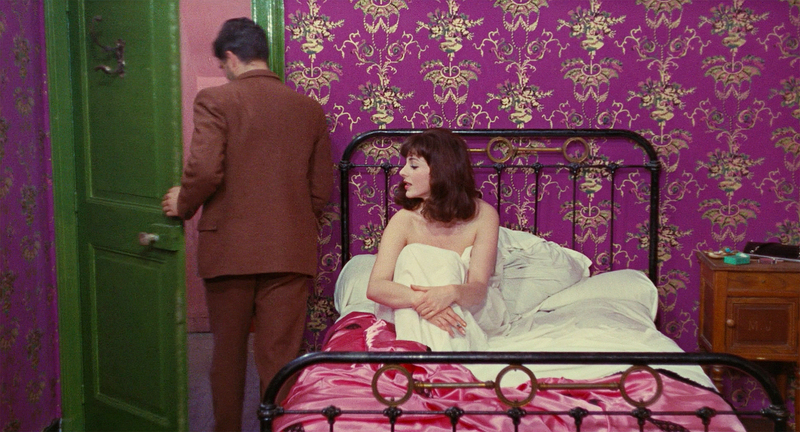 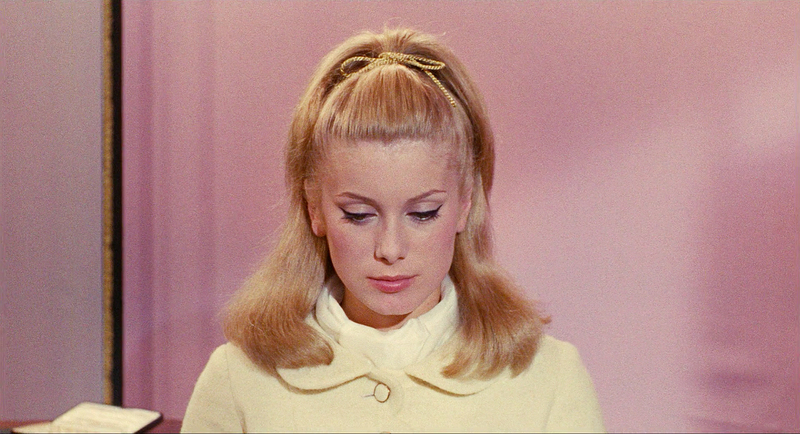 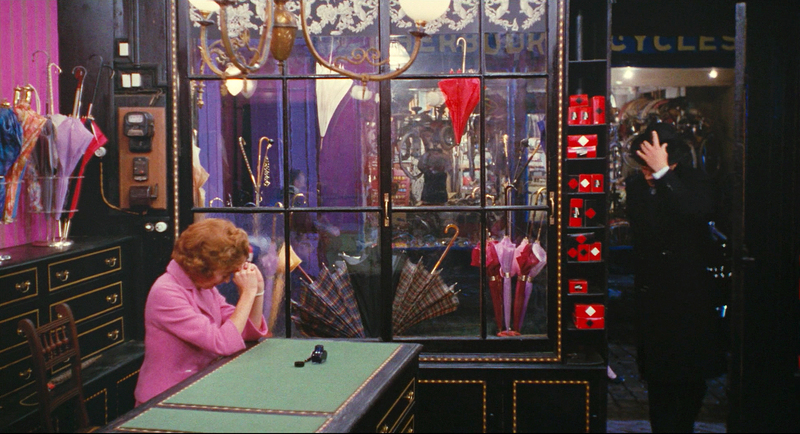 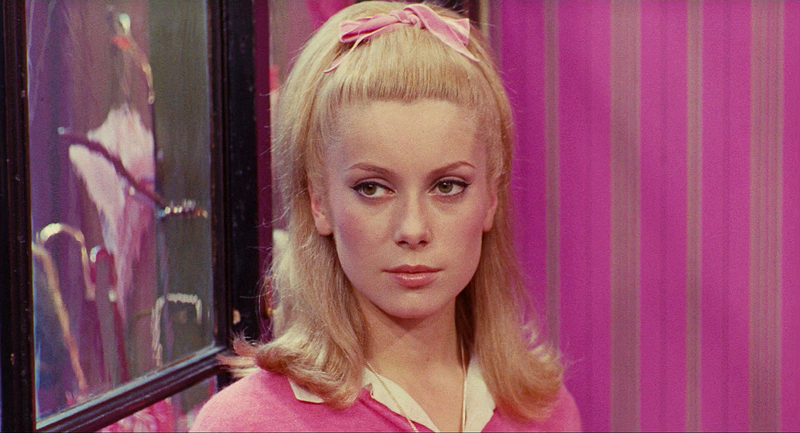 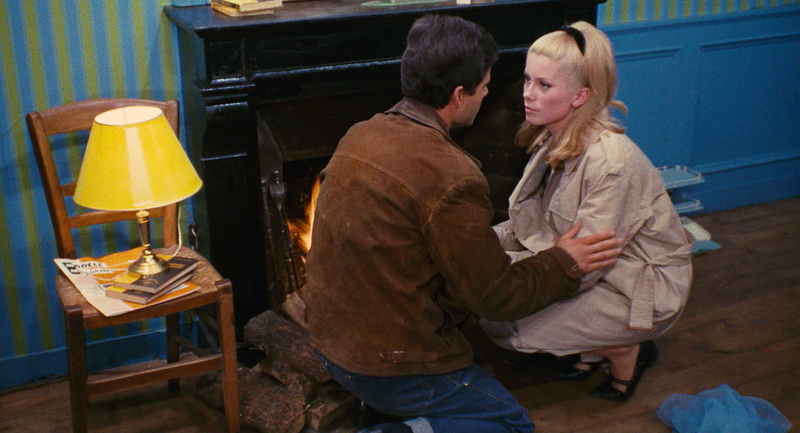 Jacques Demy employs a rich, sometimes wild, visual scheme that reminds me of French macaroon shops. 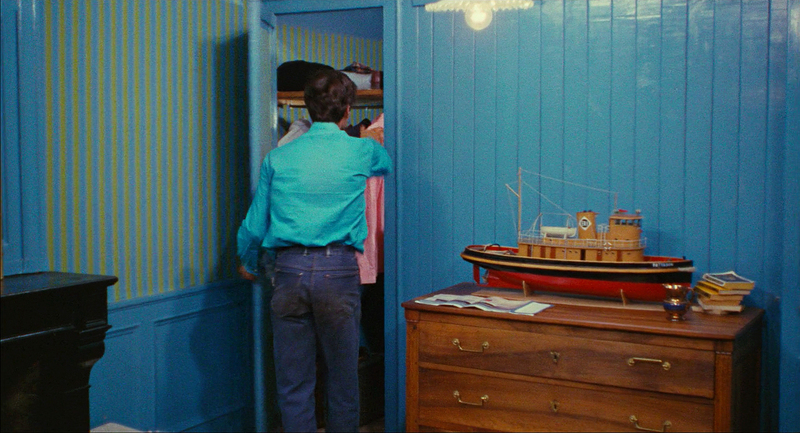 It’s no surprise that he once said his goal was to create “a mixture of poetry, color and music.” He had his lifelong design partner, Bernard Evein, painted a wide swathe of actual houses and shops in Cherbourg with eye-popping primaries and pastels to intensify the mood of the season, from a deeply-saturated look for winter to luminous pastels for spring. 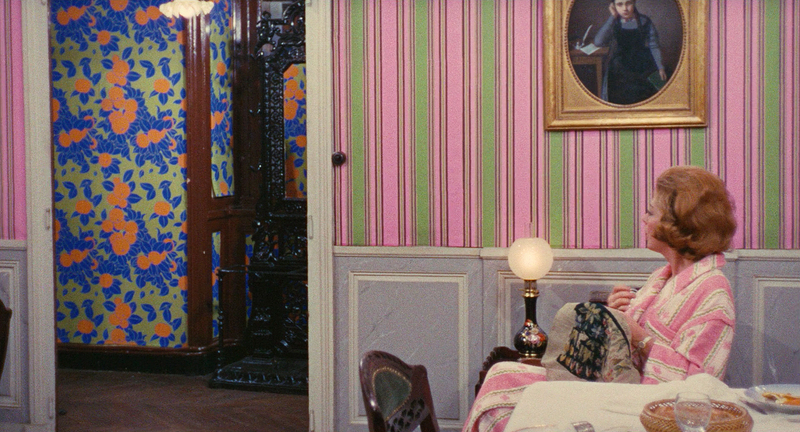 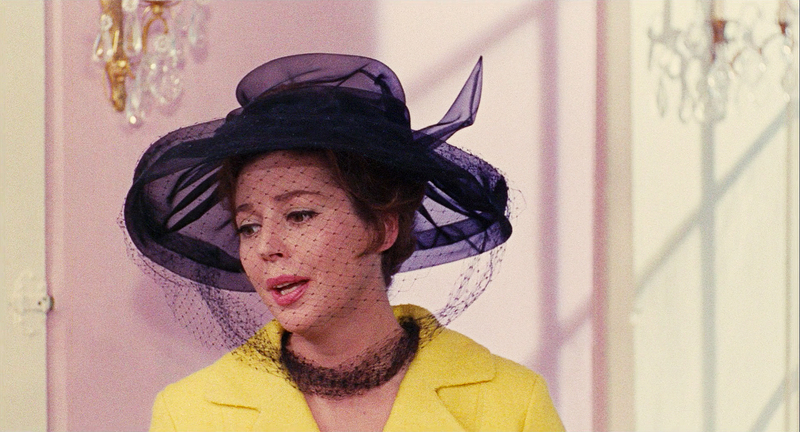 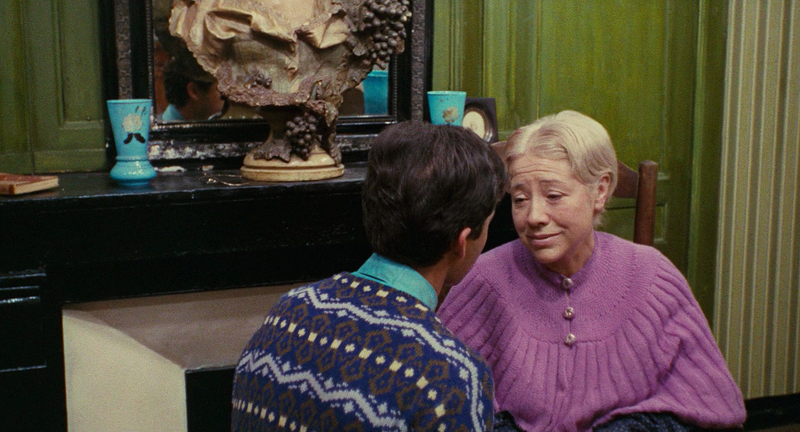 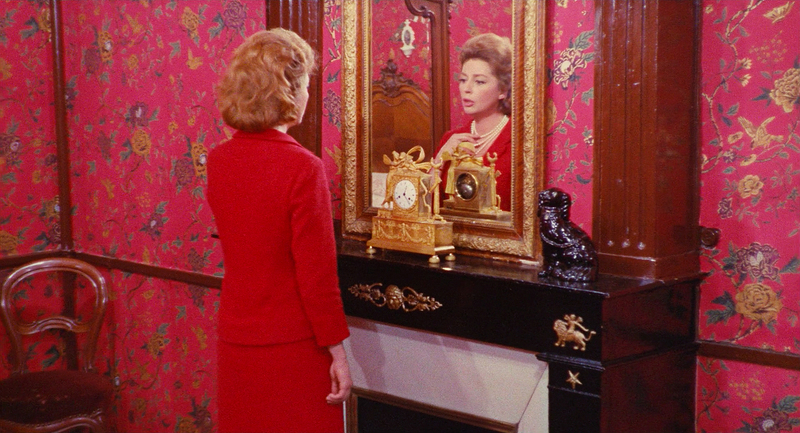 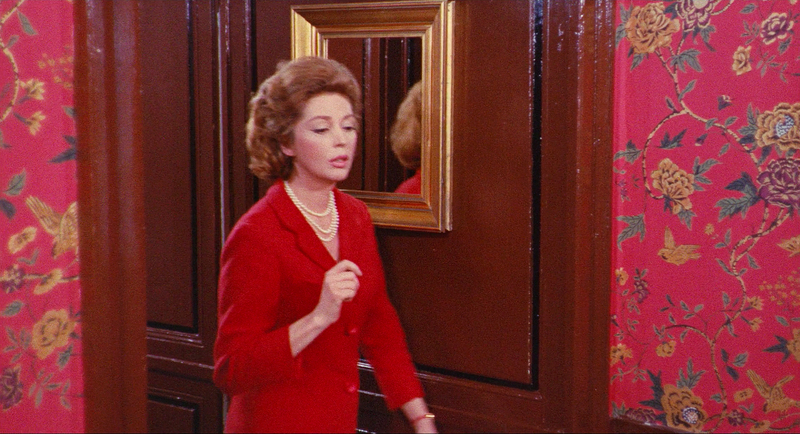 He even had costume designer Jacqueline Moreau match the cast’s wardrobe to, yes, the wallpaper designs: the Emery’s upstairs apartment has bright pink and green striped walls, so of course Geneviève wears a pink sweater and her mother a green coat. 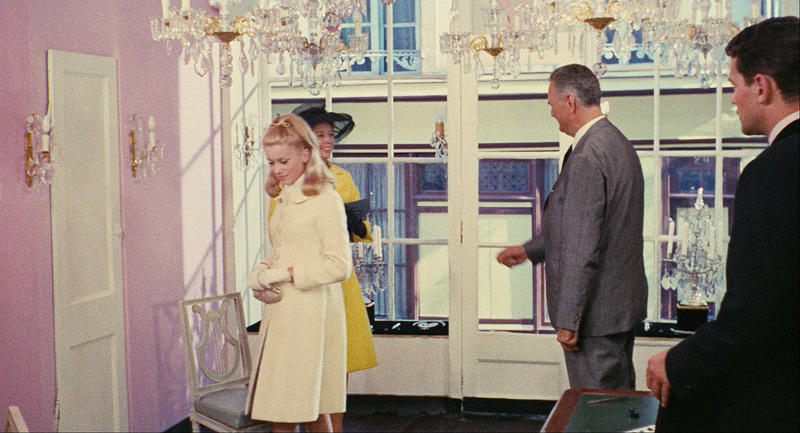 In the past when I captured stills from a film, I would rent or buy the DVD and use software (iSkysoft iMedia Converter Deluxe) to do this job. 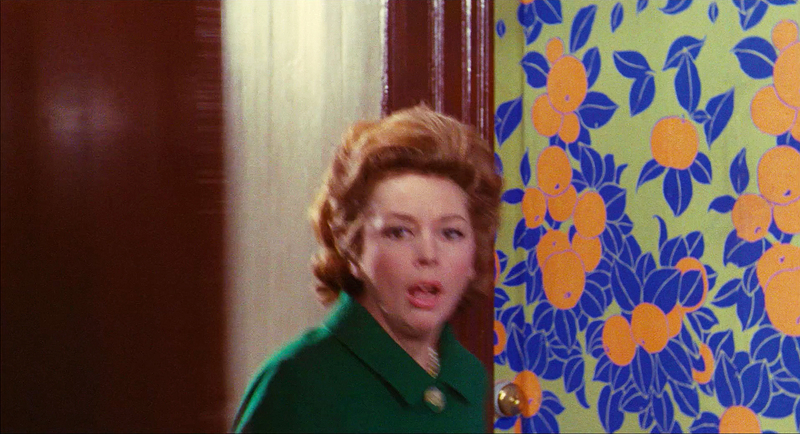 This time I streamed the film through the same software. 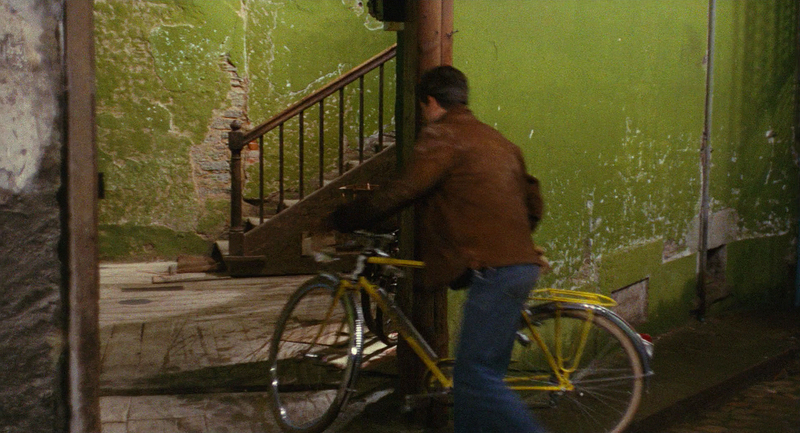 Since I don’t have the DVD, I cannot tell you which approach gives me the better picture. 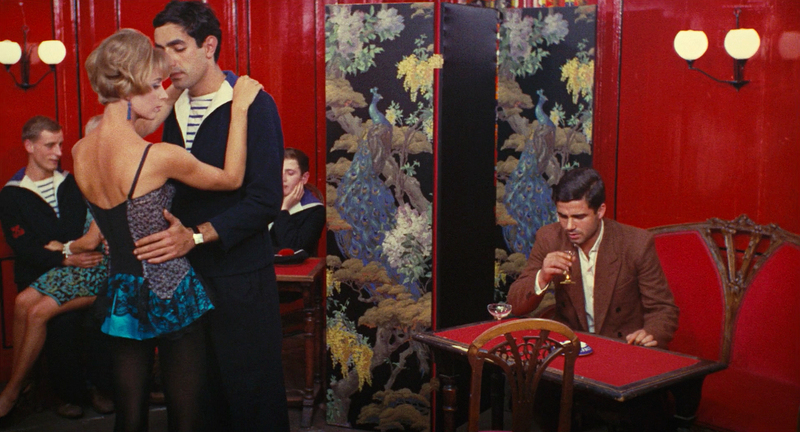 The streaming process does provide a much larger image, but is it really better? 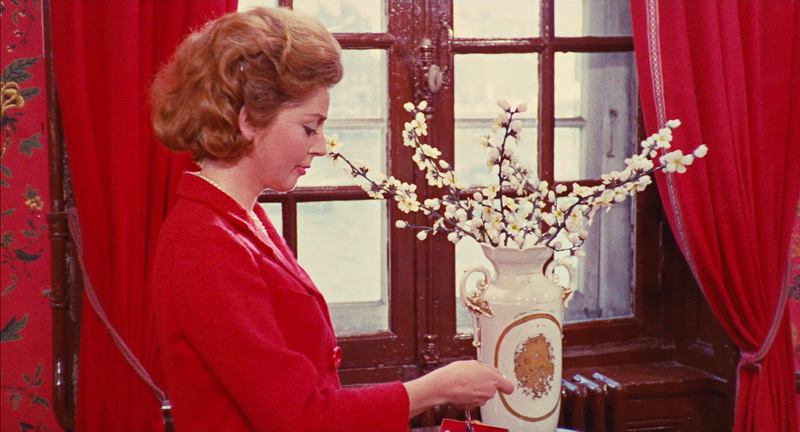 I guess it doesn’t matter, since either way, I run all captures through photoshop to optimize and size before I upload them to my website. 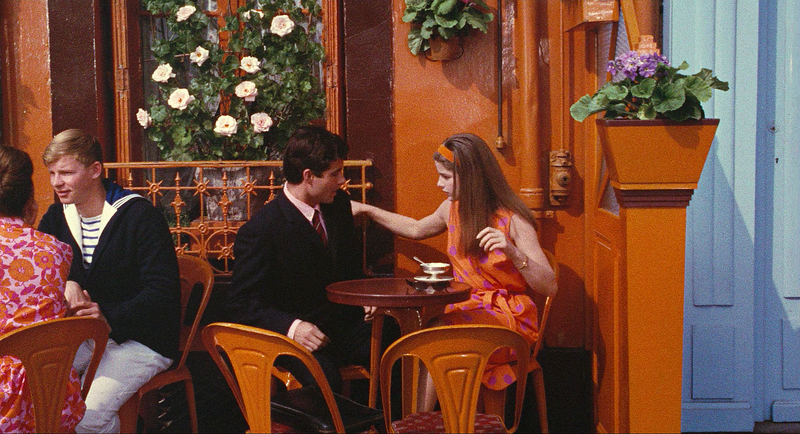 Since there are 51 photos, this blog post took several weeks working in phases to complete. 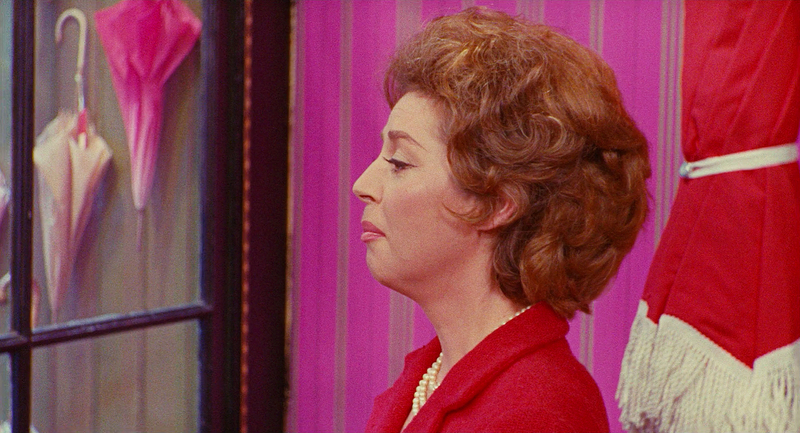 FYI: I love working with the photos, but I don’t like writing the copy. 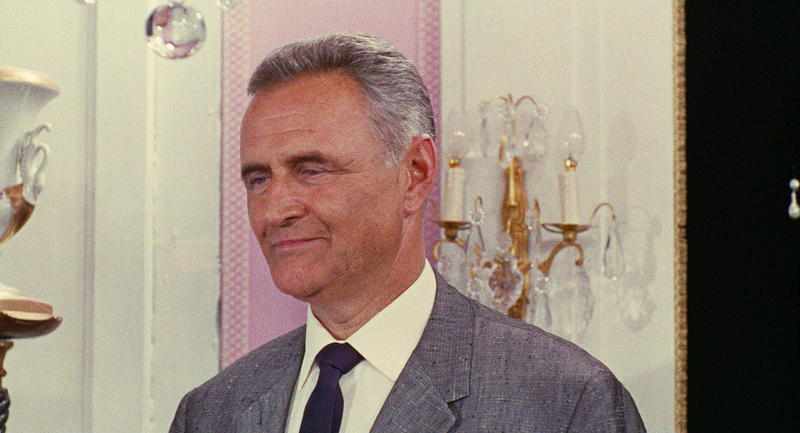 Hence, procrastination.